A crowd of thousands bundled in coats and hats patiently awaits the coming of the new president at the U.S. Capitol. The sounds of band music fill the frigid air as families and political savants huddle together in an attempt to keep warm. 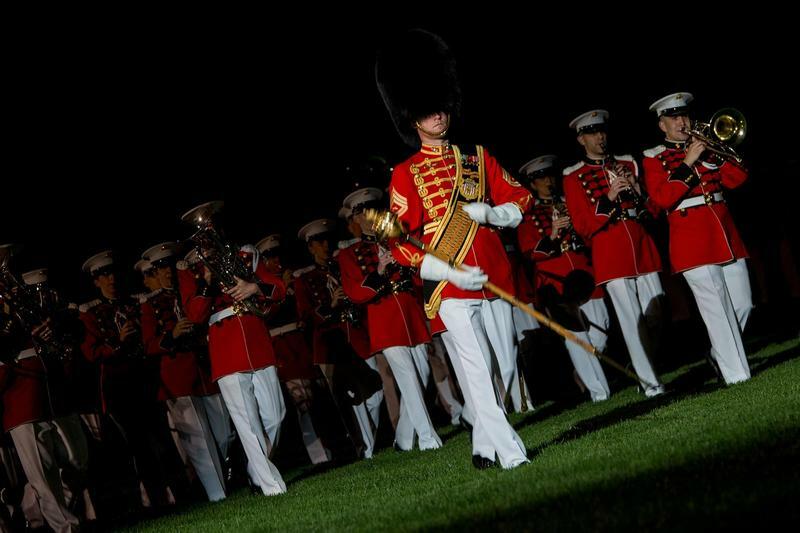 Although the band struggles to play in the cold, the precise harmonies, well-balanced tone, and patriotic sounds show no indication of the freezing conditions they are performing in. Dressed in blouses with standing military collars, eight buttons down the front, and decorative gold braids at the cuffs, the members of The United States Army Band, despite the cold, are grateful for the opportunity to represent our country. Military involvement in the Presidential Inauguration as well as in many other ceremonies and events is a tradition that dates back to the 18th century. Military bands started as a simple fife and snare drum mainly used for signals to communicate on the battlefield. 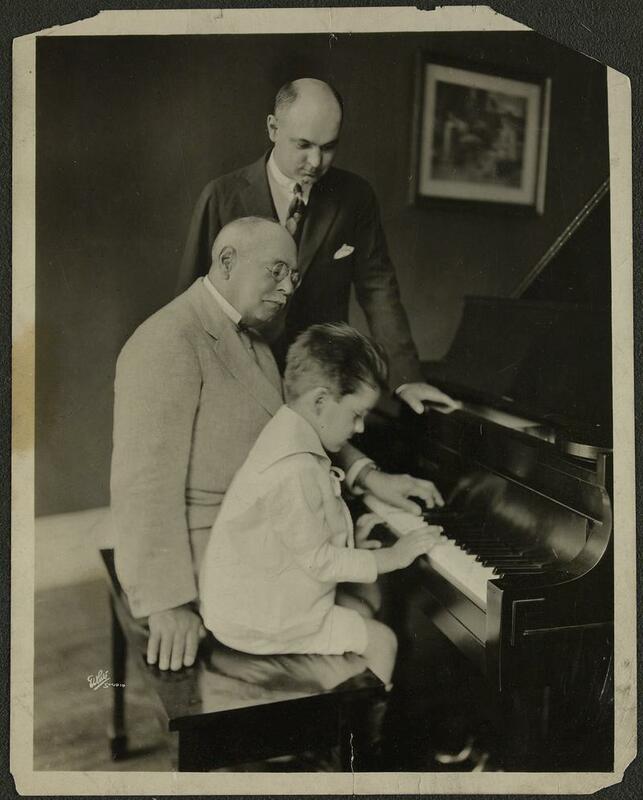 Today, not only has the diversity of instrumentation expanded, but the quality of performances and their cultural standing have helped to preserve United States history. 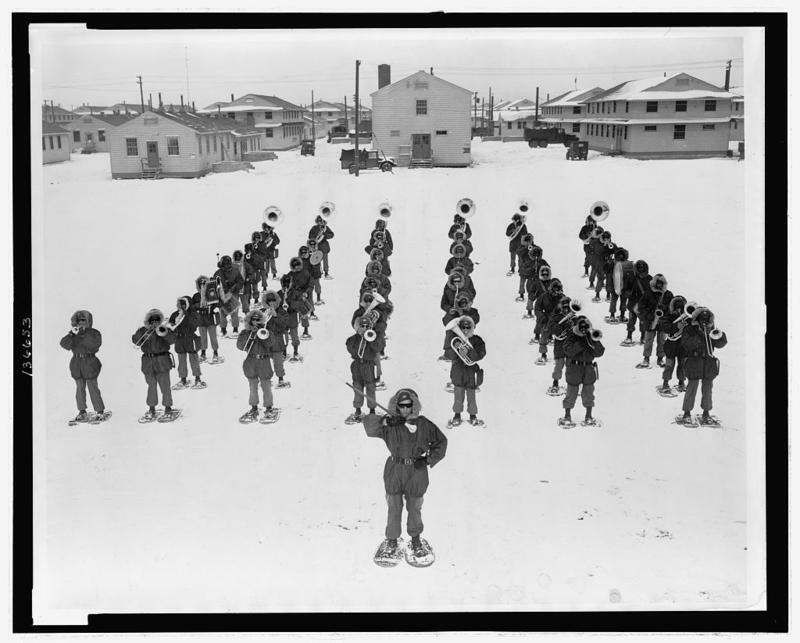 The popularity of military bands grew as new types of instruments became more readily available. Before the invention of valved brass instruments in 1830, the standard military bugle was used. Valved brass instruments, such as the trumpet, allowed a musician to play melodic lines previously unsuitable for the bugle. The continued improvement of brass instruments and the addition of woodwinds (oboes, clarinets and bassoons), popular instruments of the Classical era, have allowed bands to expand their depth of sound and diversity of repertoire. Today, in order to maintain an in-tune and well-balanced band, auditions are held to allow the military to choose the nation’s best musicians. 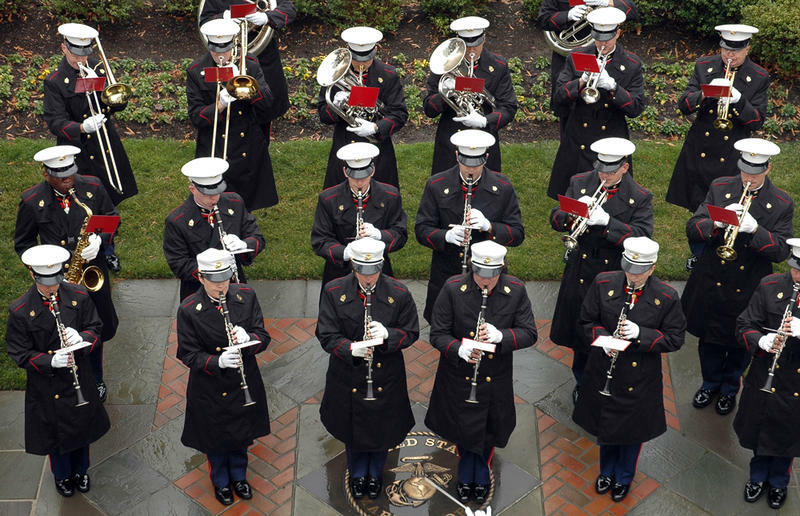 Required auditions and necessary training through each branch’s respective school of music, first proposed by General George Washington in the 18th century, have become an instrumental step in maintaining control and refining quality in bands. The foundation for military band music began in Europe in the mid-18th century. Military band field music stemmed from Classical-era chamber music that was written almost exclusively for wind instruments and was referred to as Harmoniemusik. Harmoniemusik became a characteristic style of composition used by many famous Classical composers. Haydn’s wind sextets, excerpts from Mozart’s opera The Marriage of Figaro, and the First Symphony of Beethoven are all excellent examples of what would soon evolve into today’s military music. At the premier of Beethoven’s Symphony #1, one reviewer had complained that “the wind instruments were employed excessively, so that it was more military band than orchestral music." Although less than one percent of the United States military is a member of a military band today, they play an important patriotic role for soldiers and citizens alike. During the Civil War, Congress argued that the bands stimulated a fighting spirit in their men, boosting morale and encouraging them with the patriotic themes of marches and bugle calls to achieve victory. During the 19th century, General Philip H. Sheridan said, “Music has done its share, and more than its share, in winning this war.” He understood the impact music has on troops. The bands have been responsible for signaling commands and entertaining troops. They provide order yet diversion in the lives of military personnel. Not only have military bands impacted the lives of the people, but they have greatly enhanced the lives of the musicians as well. 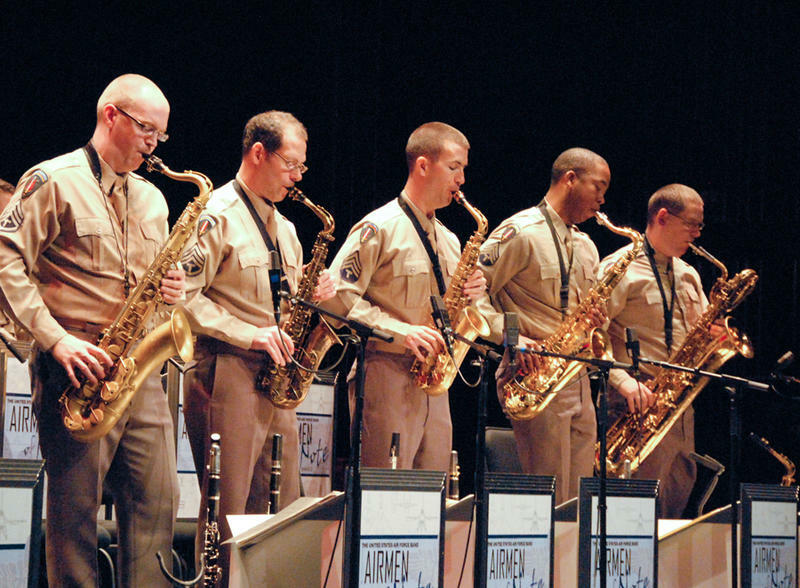 Such prominent musicians as Glenn Miller, John Coltrane, and Tony Bennett are some of many that honed their talents in military bands, receiving opportunities to perform and study with other members of the military throughout their years of service. Because of the training they received, these gifted musicians were able to continue making great music that millions have enjoyed for the past hundred years. 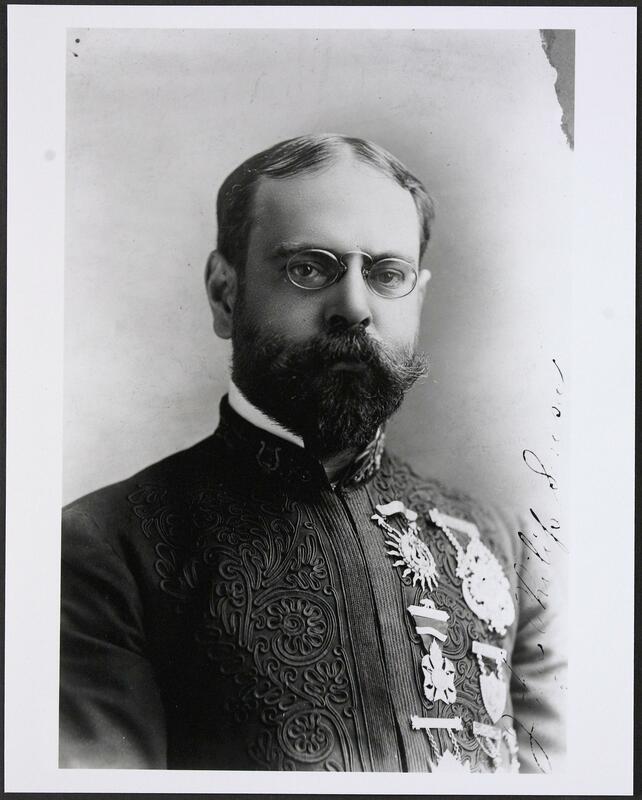 For famous bandleader and composer, John Philip Sousa, creating high-quality military music purely to entertain the public was his main priority. He raised the standards of military music and bands to heights never before reached, consequently earning himself the name of “March King.” Many of his pieces are still very popular today such as the official march of the Marine Corp, Semper Fidelis, the march he wrote for the two hundredth anniversary of George Washington’s birth, George Washington Bicentennial March, and his most well-known American march, The Stars and Stripes Forever. 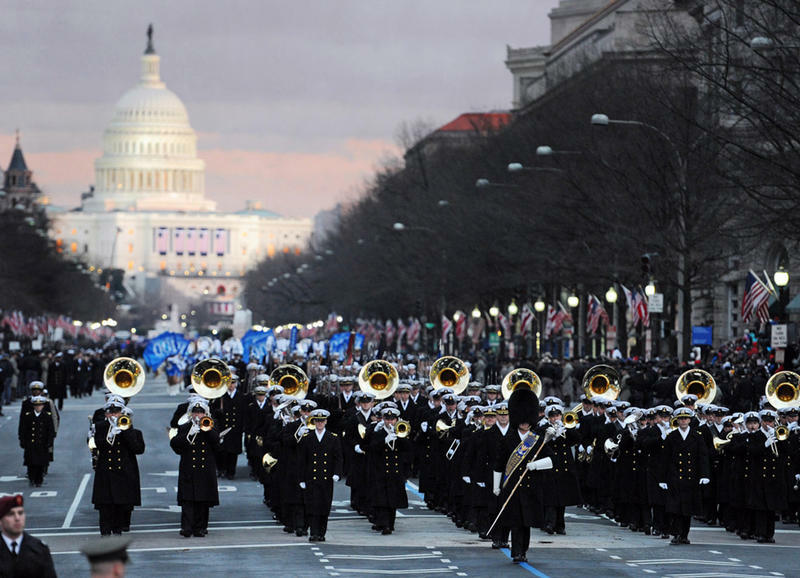 Today’s military bands stretch over various genres of music including rock and pop, country, jazz, and dixieland, while still maintaining the old traditions of playing ceremonial music usually performed at military funerals or for the President of the United States. There exist bands for each branch of the military, the Army, the Marines, the Navy, the Air Force, and the Coast Guard. Currently, our military has approximately 230 bands with the United States Army Band having the most of all the branches. The ever-growing number of bands demonstrates the prominence and value in the lives of soldiers and citizens. WRTI student intern Maria Dell'Orefice explains the history and role of military bands in the US. Join us from Friday, May 22 to Monday, May 25 during jazz hours as we remember those who fought for our country by presenting jazz performed by United States military bands. Jeff Duperon kicks off the festivities on Friday, May 22nd at 6 pm with music from The West Point Jazz Knights, the U.S. Army Blues, and many other military bands, old and new. This music continues all weekend long, until the Hot 11 Countdown kicks off at 10:30 pm on Monday. The military band tradition in the U.S. dates back to the 18th century. 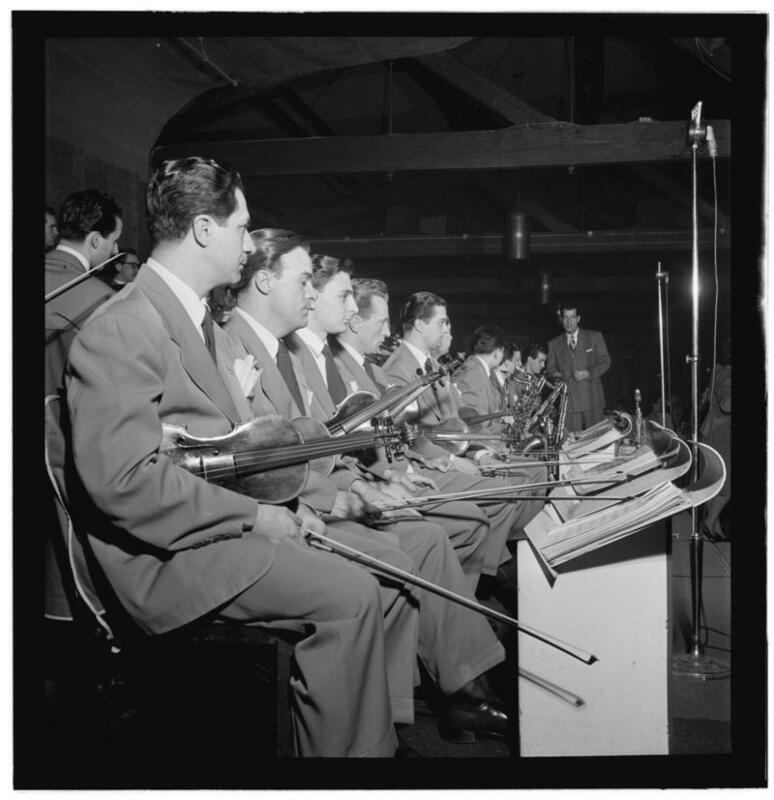 The number of bands, type of instruments, styles of music, and audiences reached have grown immensely since those early drum-and-bugle days. This Memorial Day, from 6 am to 6 pm, WRTI presents the music of today's military bands, including the Air Force, Army, Coast Guard, Marines, and Navy. These bands each have a wide variety of configurations that provide the country with music ranging from classical to jazz to country. And let's not forget marches!